Find My Workspace lists over 95% of the business centres market in Chester. Simply click Request Quote to check pricing for one office, or Add to Basket for multiple offices. These offices is a modern office, located on the outskirts of the thriving business atmosphere of Chester City Centre, offering a professional image for your business. Facilities include Reception Services with a large welcome and waiting area complete with a quirky tuck shop, fully equipped kitchens on both floors, photocopier/printer and fax machine. There are 20 offices and conference rooms of various sizes that can be used for a diverse range of meetings and can be transformed to suit you. It offers a range of flexible offices, furnished or unfurnished with packages to match your individual business needs. Whether you are small and growing as a business or whether you want to expand your client base into Chester, this centre have suitable offices for you. It also offers additional services such as onsite parking and admin support. This exciting new development comprises 66 units available for a mix of commercial uses including office, manufacturing and storage. It comprises 34 communal offices ranging from 145 to 355 sq ft (13 to 34 m²) and 9 individual offices ranging from 27 to 56 m² (290 to 600 sq ft). The centre also offers 23 workshops ranging from 750 to 1,900 sq ft (70 to 177 m²). 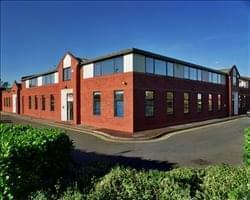 These offices are available on flexible easy-in, easy-out terms, together with a range of additional business services. The centre also provides virtual offices, meeting rooms and self-storage for domestic and business uses. 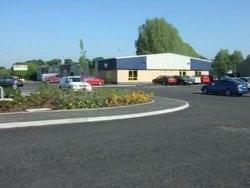 The centre benefits from ample free car parking. The centre has fibre-optic super-fast, super reliable broadband with synchronous upload and download speeds available. For heavy users the centre can provide uncontended and dedicated bandwidth slices of 10Mb upwards (subject to survey) at a fraction of the retail cost.